It's looking more and more as if two new pace-of-play initiatives will actually be in place at the major league level in 2018. 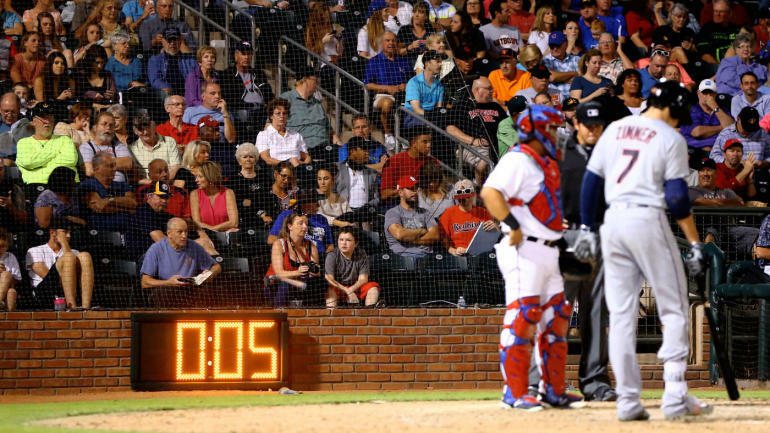 Specifically, the unilateral implementation of a pitch clock and limits on mound visits are likely to be part of MLB games this coming season—although Commissioner Rob Manfred would still like to get the assent of the players union. The Commissioner has the right to impose the two new rules since the league officially "gave notice" of them a year ago—even though the union rejected both. Details on the two rules are sketchy—although specifics could be resolved in meetings with the union that are expected to take place soon. While the minor leagues have successfully used a 20-second pitch clock, the MLB version may be longer (25-30 seconds). Also, there may need to be more flexibility on the number of mound visits to be allowed (the proposal is one mound visit by a catcher per pitcher, per inning). In any event, the game should be quite different, and hopefully, appreciably faster in 2018.